The Central Highlands region is in Central Queensland, Australia. The region encompasses an area of around 60 000 square kilometres, making it just short of the size of Tasmania. 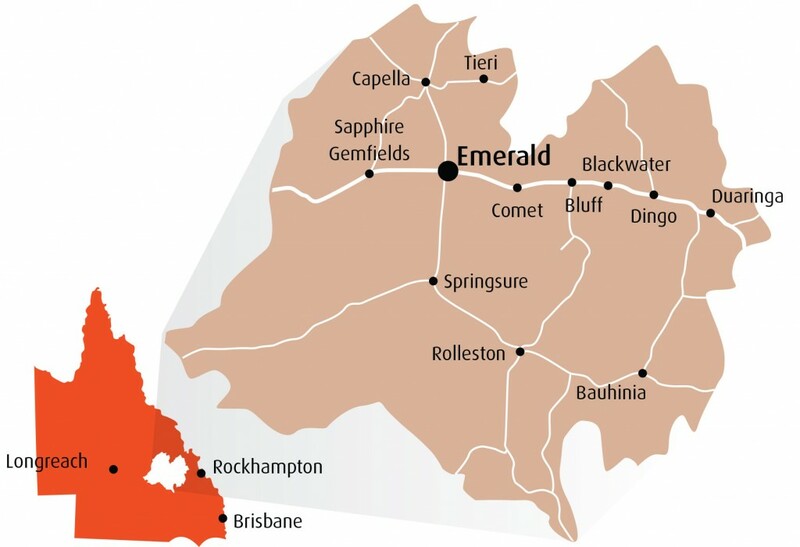 It is home to around 30 000 people who live in the thirteen unique communities of Arcadia Valley, Bauhinia, Blackwater, Bluff, Capella, Comet, Dingo, Duaringa, Emerald, Rolleston, Sapphire Gemfields, Springsure and Tieri. Our region is rich in minerals and agriculture, thriving on irrigation sourced from water storage on the Nogoa and Comet rivers. We claim the largest sapphire-producing fields in the Southern Hemisphere. Major freight routes through the region include the north-south link between Charters Towers and northern New South Wales—identified as the inland transport alternative between Cairns and Melbourne. For a map of the Central Highlands Regional Council area boundary click here.